Ever wonder how important data, information and insights are for your brand? We break down what each one is, where you get it from and how you can use them to inform (and better) your brand strategy. Did you know that data, information and insights are not synonyms? So, what’s the difference between them? Data refers to the raw, unprocessed facts that usually take the form of numbers and text. Data can be quantitative (measured) or qualitative (observed). It exists primarily in computer-friendly formats and lives mostly in databases and spreadsheets. Information refers to prepared data that has been processed, aggregated and organised into a more human-friendly format. It provides more context than the raw data does, and is often delivered in the form of graphs, reports and dashboards. Insights are generated by analysing information and drawing conclusions from it. Insights are used to make decisions and to drive change. Now that those terms have been defined, let's find out how you can use each one of them to better your strategies – with the help of brand tracking. Brand tracking companies find all of the data about your brand’s mentions in the media. Remember: the better the reach of your brand tracking company, the more extensive your data will be. Brand X has been mentioned 10 times in print media, 20 times in broadcast media, 30 times online and 40 times on social media. Brand Y received seven mentions in print, 24 in broadcast, 17 online and 59 on social media. 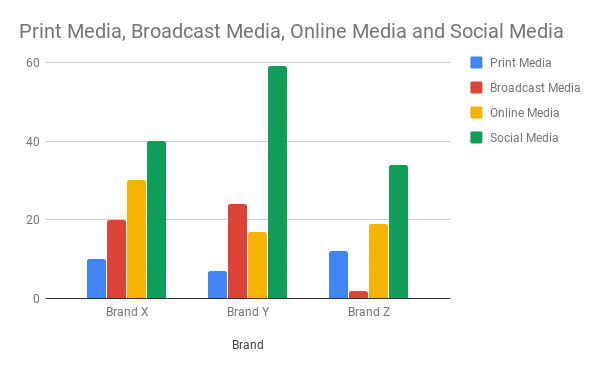 Brand Z had 12 mentions in print media, two in broadcast, 19 online and 34 on social. Those are all just numbers. 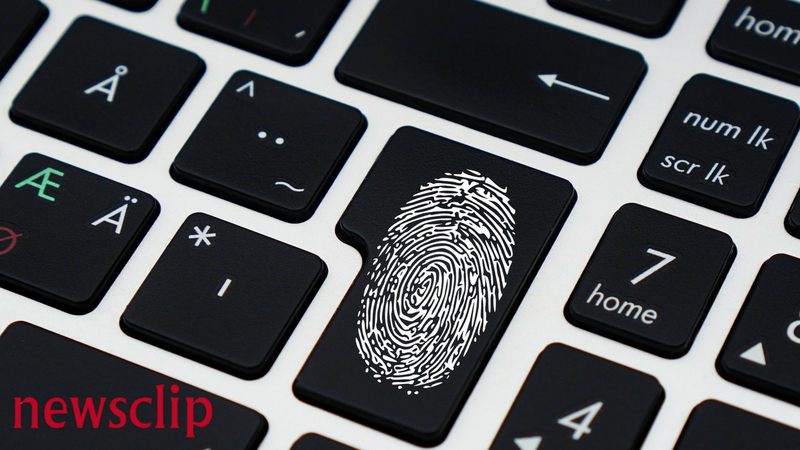 Newsclip will give you access to those numbers, but will also offer you some context – taking data to the next level by making it information. By monitoring various sources of media in our extensive database, Newsclip can track every single mention of your brand and its related keyword. We compile all that data, and give it to you on our online viewing platform, Gate5. From Gate5, you can see overviews of your content and download reports, making the data a little more understandable. By putting the data into a graph format, and comparing the three brands, we have taken the data, made it a little more user-friendly and turned it into information. Now that you have your information on your brand and competitors, you can analyse the information and draw your conclusions. Once you have those insights, you can adjust your business strategies to ensure success. What can we learn from these insights? Judging by the disproportionate performance of all three brands in print media and social media, it would appear that the audience of these three brands prefer social media to print media. So, what strategy adjustments could be made using those insights? Each brand is presented with an opportunity to improve their print and broadcast media coverage, as those were the lowest performing areas across all the brands. Brands X and Z could also look at the social media of Brand Y and see why it has performed so well. Data, information and insights are critical to your brand’s success. In order to make informed decisions and build successful strategies, you need access to high quality, accurate data. Want to know more about what sets Newsclip apart from other brand tracking services? Find out in our blog post, Why Newsclip turned to AI for brand tracking.